“Data is the new oil,” according to a buzz-worthy phrase that popped up a decade ago, and which has been paraphrased by powerful CEOs around the world ever since. But just how, exactly, do non-tech types navigate the field of data analytics when the language is as highly technical as the field itself? Analytics is an overloaded term that covers business intelligence and also Advanced Analytics, which includes “big data” technologies and learning systems. Big data technologies support the acquisition and transformation of data at levels of complexity and volume that was previously unimaginable. Learning Systems, the “intelligence” piece, are the Algorithms that improve with experience (hence the term ‘learning’), and include Machine Learning and Artificial Intelligence. There are people who build algorithms and people who apply. Two ways of applying algorithms are known as Deep Analysis and Intelligent Automation. 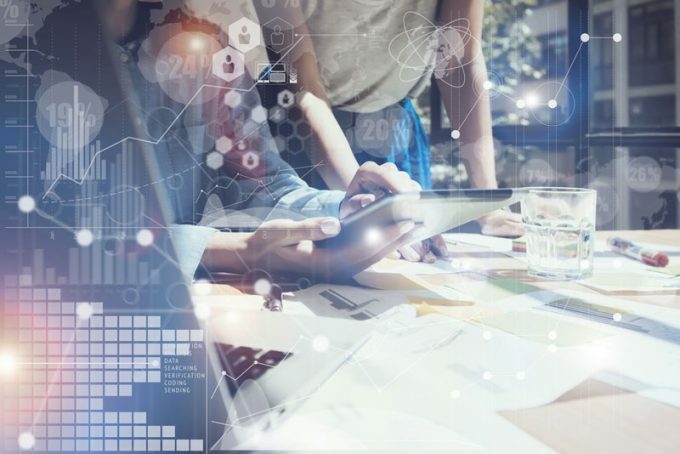 Deep Analysis refers to combining business intelligence with algorithms to create insight far beyond spreadsheets, visualization tools, and low dimensional models –great skills to compliment an MBA. People who can analyze data in high dimensions, and pick up latent drivers and complex relationships will have plenty of opportunity. Intelligent Automation refers to those who can merge Advanced Analytics with a functional expertise. This is a challenging and fun role – you really need a deep understanding of both, but the opportunities are limitless. These “hybrids” often lead data science projects to automate processes (for example, if I want to build an application to audit the revenues of a business, then I need someone who understands accounting, ERP, and machine learning, or algorithm-driven technology). One last term, Data Science, is the discipline around all this. So, we teach Data Science using application of Advanced Analytics technology, and we’re calling it Data Analytics – for now. Terry is a former vice president in the Data Science Group at JP Morgan who also worked for nearly a decade for Microsoft. More of her thoughts on technology can be found on her blog, https://econolytics.org/. Very good synopsis here by Ms. Terry, it is great she is spearheading this effort. It might be interesting to integrate some aspect of Data Analytics broadly across every department- even if it were just one or two levels beyond descriptive/inferential statistics. This might be done by including it into every Capstone project(if there is one) that a UH Bauer undergraduate student works on. Perhaps another trademark differentiator of our graduates?